Vikram is presently working in the marketing department of Evolve Back (formally Orange County). Q: What does work bring to the table, as a PR Coordinator with Evolve Back? The designation PR Coordinator is a bit of a misnomer in the sense that PR is just a small, albeit important part of my duties. Other duties that take up most of my time can be broadly described as providing content -mostly written and sometimes visual, for the company. This could be wide-ranging, across social media platforms, website and print campaigns. I also manage our online reputation and was part of the team that undertook our recent rebranding exercise. Over and above this I also contribute to the formulation of marketing campaigns and assist in their implementation. All I can say is that it was great fun. I had a great team and together we took the property to great heights. Orange County, Kabini – now Evolve Back Kuruba Safari Lodge, Kabini – was declared the best wildlife lodge in India. Another highlight of this time was the execution of an email marketing campaign named Lifescapes. This was a photo essay on the wildlife of our destinations (Kabini and Coorg) told through a brilliant photograph and a compelling and witty write up. I worked closely with the marketing team on the exercise, and although I did not know it then, this was a precursor of things to come. Back then, Responsible Tourism was billed as a new and hopefully revolutionary concept in tourism. A type of tourism that would benefit local people and help them preserve their culture. Responsible Tourism can be called the CSR of the tourism industry. The company decided to seriously adopt RT, as it came to be called, and went on to formulate a long term policy. I played a part in this and kick-started the implementation process at the resort level. The Asian Nature Conservation Foundation was an unprecedented learning opportunity for me. I was seated amongst some of the most renowned conservationists, scholars and researchers on Asian Elephants in the world - and the amount I learned just by talking with them was mindboggling. My primary task was to help set up their new website and take them into the realm of social media. I also edited all research papers, scientific reports, and generally made myself useful wherever I could. 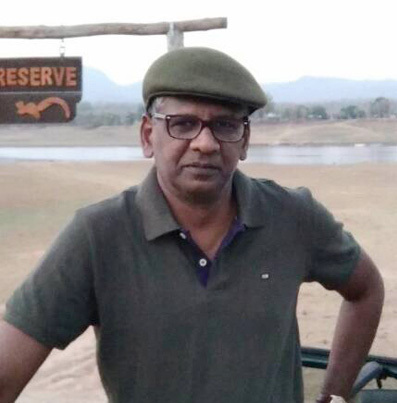 From a wildlife perspective this was the best period of our stay in Kabini - I say ‘our’ because it includes me, my wife Gowri, and our daughter Tara. We got to experience Kabini like it can never be experienced again. At that time Kabini was not a well known destination and we only got guests over the weekend. During the week, for all practical purposes, the Park was our private playground. We had unprecedented legal access and spent a lot of time inside. This was a great learning experience for us and an exceptional childhood for Tara. We also got to interact with some of the doyens of wildlife conservation on a one-to-one basis. My entire outlook, philosophy and thinking on wildlife were positively shaped during those years. I think the timeshare vacation format is great time-tested format. I also think that it has not met its full potential. Timeshare needs to move into the exclusive segment. Allow me to explain further – currently, timeshare properties are usually large properties with a correspondingly large user base. In the future, the timeshare model needs to be applied to smaller properties. It would be great to have a small selection of properties that can be shared as vacation homes by a small circle of like-minded people. This is what I mean when I say ‘exclusive’. I remember during my childhood, companies used to own ‘Guest Houses’ that could be used by their employees and their families with prior bookings, right through the year. This is the concept that needs to be extended into future timeshare plans and offerings. I can almost see it happening.